While still working at Ghia, Tjaarda teamed up with a friend, Peter Giacobbi, to design and build a running prototype. Called the SINTHESIS, this concept vehicle was hand built over a two year period. Using the power and suspension unit of the LANCIA FLAVIA placed in a mid-ship position, a new chassis was designed by Giacobbi and a coupé sports car body designed by Tjaarda to complete this hobby project. 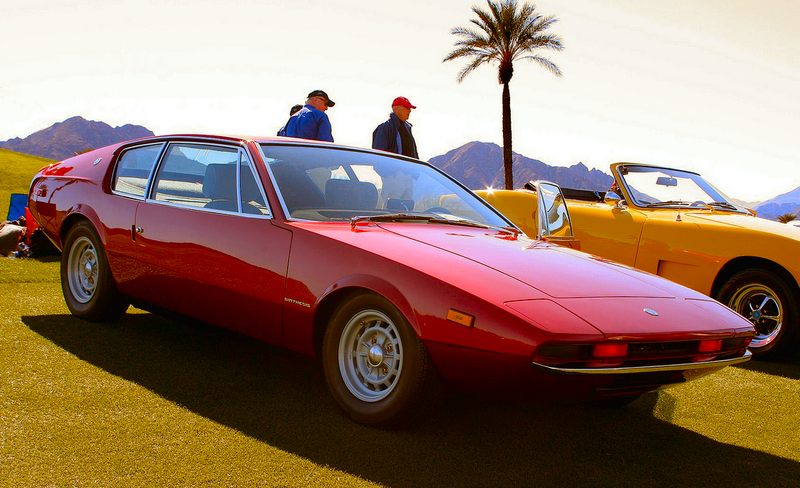 The car was shown in the TURIN AUTO SHOW in 1972. The public showing of this one-off prototype turned out to be shocking and created dramatic speculation as to who did it, where did it come from and what was its purpose. 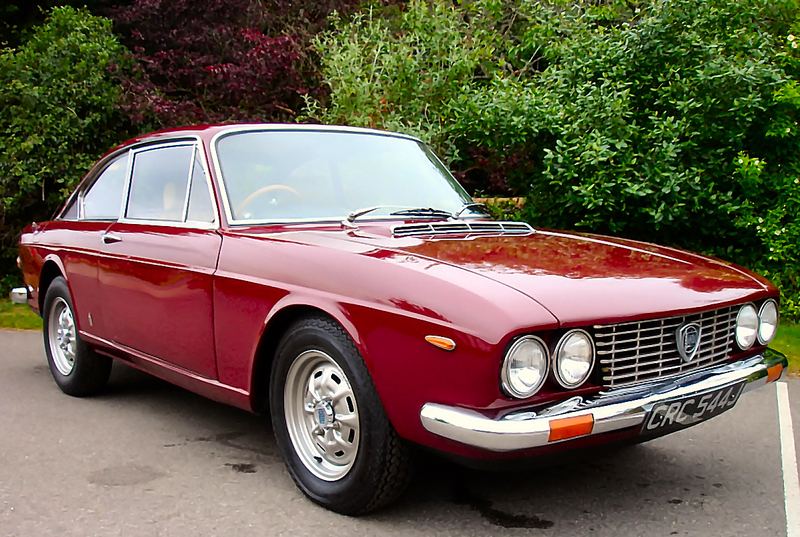 Even De Tomaso called his friends at Fiat to find out if they had engaged Tjaarda to work for them ! The ashes settled when both Giacobbi and Tjaarda produced all the evidence that it was indeed - a hobby project. 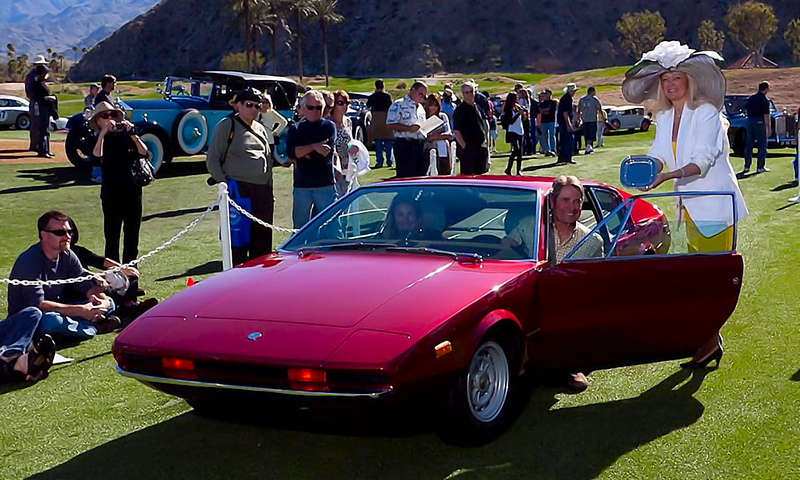 The SINTHESIS was awarded the PEOPLES CHOICE AWARD in the 2011 LA QUINTA DESERT CLASSIC CONCOURS d'ELEGANCE (scroll furter down), in the 1992 CONCORSO ITALIANO and was also displayed at the 1997 PEBBLE BEACH CONCOURS d'ELEGANCE. The car is now in permanent display in a Automobile Museum in southern California. 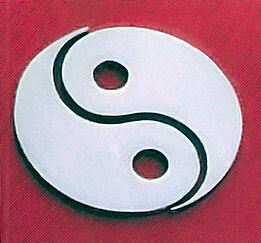 The divided circle selected as THE LOGO for Giacobbi's and Tjaarda's one-off GT coupe, Sinthesis, tells the whole story: "The Yin and Yang of it", to use the owner's words. Giacobbi and Tjaarda have accomplished an ambition that most of us have merely fantasized....they have had a car built to their own specifications. By that, we don't mean anything so prosaic as ordering from some manufacturer's lengthy list of options, power-trains and colors. Anyone could have done that, at least up until a few decades or so ago. Engineer Giacobbi and designer Tjaarda spent two years creating a one-off GT solely for their own personal gratification, a car they intended to drive daily as his "beater". Built in 1970, Synthesis was the first car to be fitted with air bags - for both driver and passenger. We know what you're thinking, and you are wrong, very wrong. This is not some cobbled up atrocity, a Buccialli or Clenet, nor is it a hot rod of Detroit mass market parentage. Giacobbi's and Tjaarda's fantasy come true is a GT that was awarded the Peoples Choice Trophy at the 1992 Concorso Italiano, a 350-car competition held at Carmel Valley, California concurrent with the vintage racing at Laguna Seca, the Concours d'Elegance at Pebble Beach and the myriad other classic car events that each August bring to the Monterey area more than 1000 of the most significant automobiles ever produced. 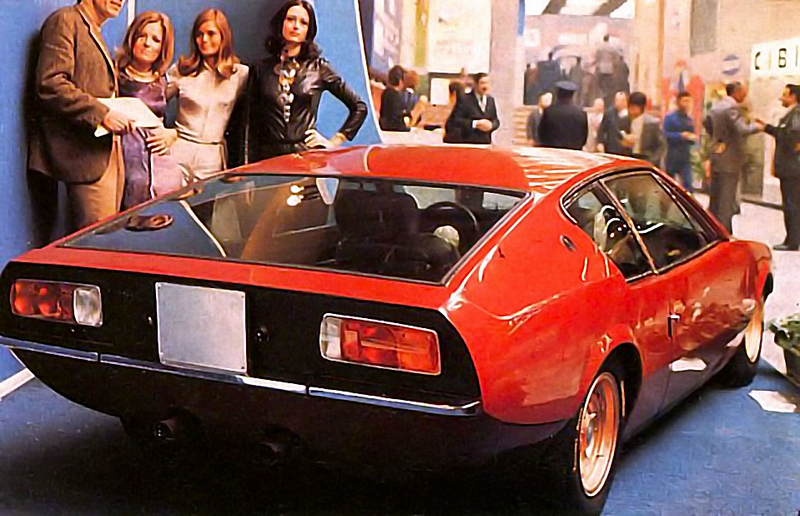 The Carmel gathering was the third showing for Sinthesis, and it came some twenty two years after the car's public debut on the Nardi stand at the 1970 Turin Auto Show. 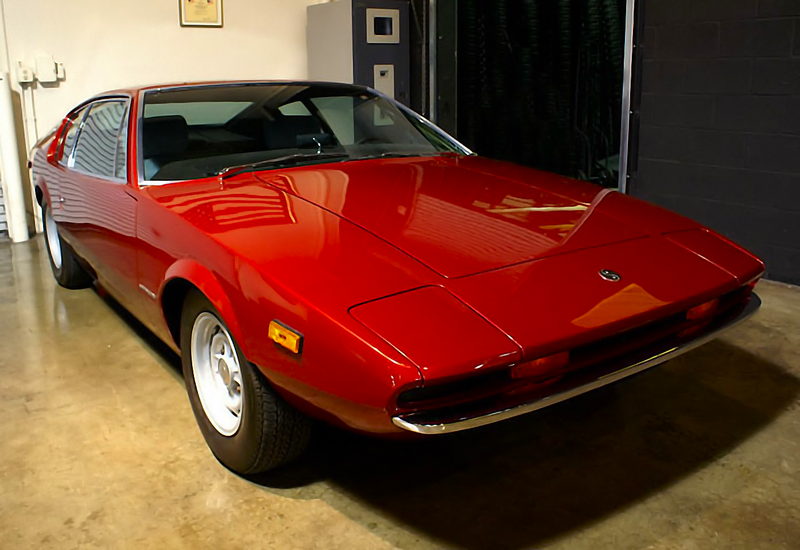 Penned by the De Tomaso Pantera designer, long-time Ghia stylist Tom Tjaarda, the one-off steel body is mounted on a mid-engine chassis that was the creation of Giacobbi himself. Get rid of that knowing smirk - you're wrong again. Peter Giacobbi has some pretty good qualifications, having been Chief Engineer for the DeLorean project during the early days before scandal marked the demise of that enterprise. Earlier, this former college roommate of Peter Recson spent a decade and a half with Eaton Corporation in Italy, where he supervised many projects relating to the automotive industry. Peter Giacobbi and Tom Tjaarda, both American-born, both filled with early career optimism, found themselves living in the same Turin suburb in the late 1960s. As noted, Giacobbi was fledgling engineer with the Eaton Corporation, while Tjaarda already had more than half a decade with Ghia under his belt. The pair became friends, sharing interest in tennis, attractive young ladies and, of course, sports and gran turismo automobiles. One Sunday evening in the autumn of 1968, over a wine-lubricated dinner in a trattoria on the banks of the river Po, the two Americans embarked on a private project to design and build a car for Peter Giacobbi. The parameters were few; room for two occupants, fast, possessing superior handling characteristics, relatively economical and sleek, very sleek. Lancia's flat four cylinder 1.5 litre power-plant from the Flavia was selected for the Sinthesis, primarily because of its low center of gravity, as well as the fact that the engine, complete with the Lancia's four-speed trans-axle and front suspension, would be adapted to become the rear drivetrain for the Sinthesis. The power-train from a wrecked Flavia was acquired for an amount less than $100, a figure which soon became irrelevant during a rebuild and modifications that saw displacement expand 30 percent to 2.0 litres, with a dyno rating of 173 hp. That output later was scaled back to a still robust 123 hp to allow the 220-lb car a degree of low rpm tractability. Perhaps inspired by Colin Chapman (an influential English design engineer, inventor, builder in the automotive industry and founder of Lotus Cars), Giacobbi designed a torsion-resistant central tunnel-type chassis that was further strengthened by a perimiter frame and stress bearing floorpan. If anything, the resulting structure is unneccessarily rigid and heavier than need be. A pair of production Alfa Romeo radiators were joined and are mounted in the front luggage compartment along with plumbing for the Girling power disc brakes. Engine cooling is further enhanced by air flow carried aft through a centrally located under-floor duct. Originally for a 3500-lb vehicle, the Lancia disc brakes provide stopping power that can best be described as more than needed, while the acceleration, despite suffering from balky transmission linkage problems, is awesome. The former owner of several Ferraris, Giacobbi had high-speed motoring in Italy on his mind when he set out to build his own GT. In as much as Turin lies not far from some of the world's finest ski slopes, the young American wanted the lowest possible polar moment of inertia in order to make high-speed motoring through the Alps less hazardous. That he achieved this objective is evident from a seat of the pants evaluation during a recent short demonstration drive in Southern California. All glass, including the windshield, was custom formed for this one car, and two complete sets were secured against future need. The steel body was built in an unorthodox manner, comprised of many small panels formedin one small shop by a traditional Italian artisan, which then were assembled in another Torinese shop. Adherence to Tjaarda's design and symmetry were ensured by templates that were indexed to his plans every single millimeter. Even though Sinthesis is the creation of two Americans, there is no mistaking this vehicle for anything other than an Italian automobile, right down to that country's "arms stretched to the limit" driving position. Giacobbi admits to having paid less attention than he might have to ergonomics, a not uncommon oversight in that time. One area in which the two young Americans did innovate is shown in the color-coded switches, a feature straight from the Boeing 747 flight deck. This, according to hyper-critical Giacobbi, has proven less successful than originally envisioned. So too are the seats, and the off-white upholstery and carpeting, both of which are attention getting on the show circuit but unpractical in the real world. The cumulative result is that Sinthesis, instead of becoming a daily driver, has accumulated less than 2000 miles in the past 42 years, and that works out to less than 50 miles per year. Tom Tjaarda considers the experience to have been personally rewarding. He ranks the Sinthesis design among his better efforts, particularly in that it did not involve input from a group of experts who might have placed commercial considerations above the desires of his friend and partner in the venture. All rights reserved. No part of this publication may be reproduced, stored in retrieval system, or transmitted, in any form or by any means, electronic, mechanical, photocopying, recording or otherwise, without the prior permission of Anthony Westen - Netherlands.